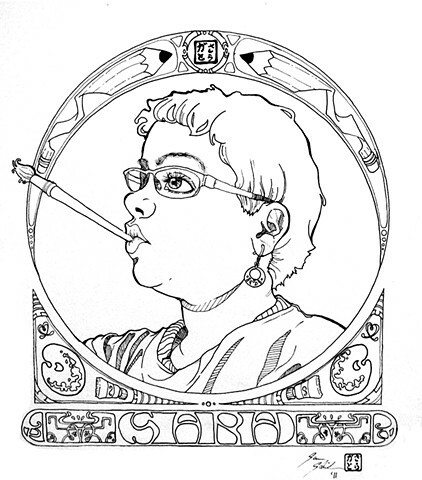 A self portrait done not long after I had surgery on my left thumb, done in Art Nouveau styling. I took a picture of myself to better reference from than a mirror. Done entirely in Sakura ink over the course of roughly two days. My goal was to make as realistic a portrait as possible and to not artistically "nip and tuck" myself just for beauty's sake.